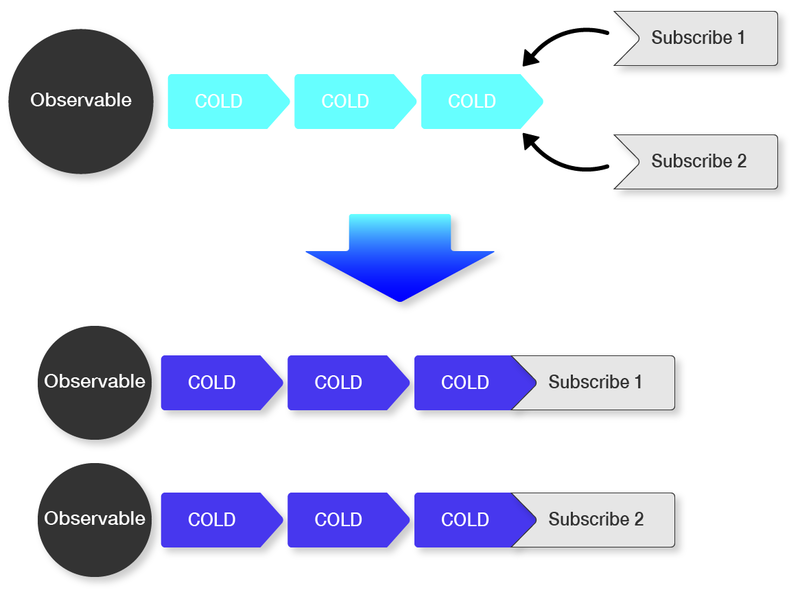 See the Pen RxJS Cold Observable - DEMO by wakamsha (@wakamsha) on CodePen. See the Pen RxJS HOT Observable - DEMO1 by wakamsha (@wakamsha) on CodePen.
" ---- A is completed. ----"
"---- B is completed. ----"
See the Pen RxJS HOT Observable - refCount - DEMO by wakamsha (@wakamsha) on CodePen. See the Pen RxJS HOT Observable - refCount - DEMO2 by wakamsha (@wakamsha) on CodePen.